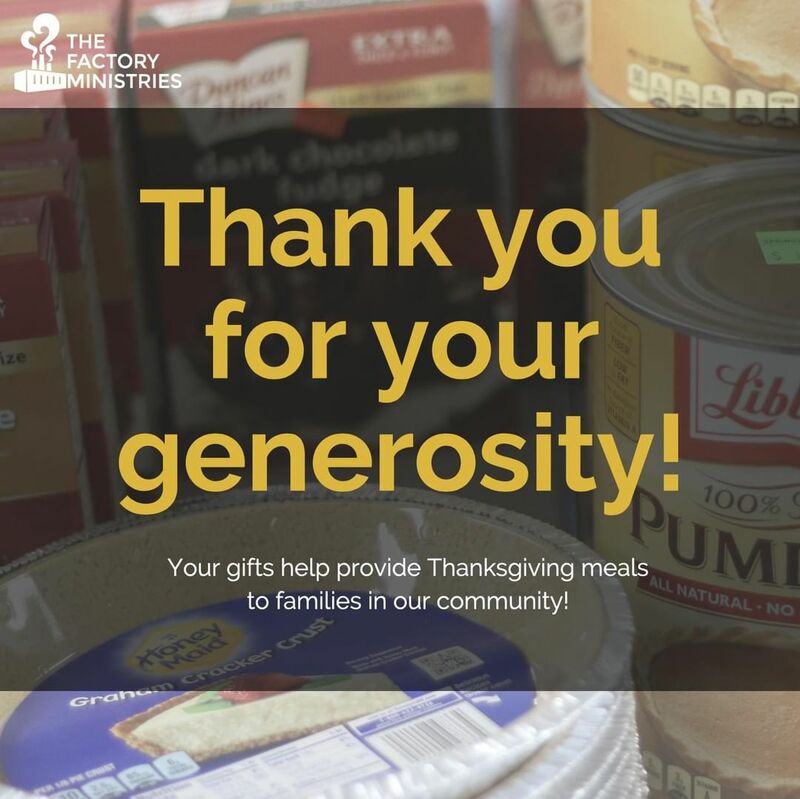 The Factory Ministries | Happy Thanksgiving from The Factory Ministries! This week, individuals and families have been able to go through our “Thanksgiving Store” held at the Together Community Center. The store was stocked with food items for Thanksgiving meals. All items distributed were provided by community donations. Your support makes programs like these possible, thank you for your generosity! Happy Thanksgiving from The Factory Ministries! This week, individuals and families have been able to go through our “Thanksgiving Store” held at the Together Community Center. The store was stocked with food items for Thanksgiving meals. All items distributed were provided by community donations. Your support makes programs like these possible, thank you for your generosity! Home > Happy Thanksgiving from The Factory Ministries! This week, individuals and families have been able to go through our “Thanksgiving Store” held at the Together Community Center. The store was stocked with food items for Thanksgiving meals. All items distributed were provided by community donations. Your support makes programs like these possible, thank you for your generosity!